For many months now rumors have claimed that Samsung, Apple, or both companies will come out with devices sporting a fingerprint scanner embedded in the display this year. When that didn’t happen for the Galaxy S8 and S8+, the speculation switched its focus onto the upcoming Note8. And for Apple this has always been claimed with regard to the tenth anniversary iPhone, the one that will be called either iPhone 8 or iPhone X. But if a new report from China is accurate, vivo is set to one-up both Samsung and Apple from this point of view. 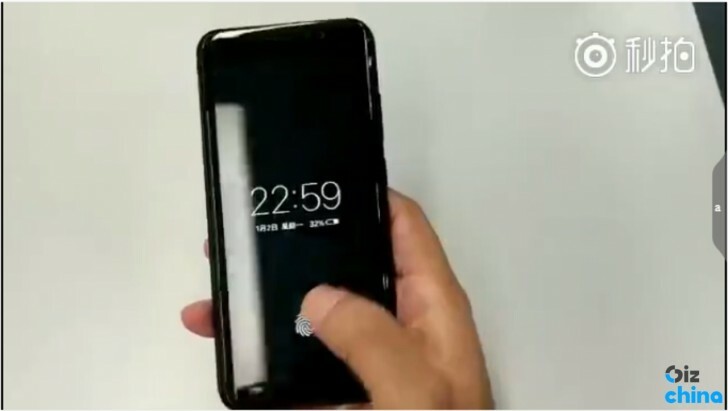 The company already has a working prototype for such a fingerprint scanner, as you can see in the leaked image below. This is a screencap from a video that got out today.